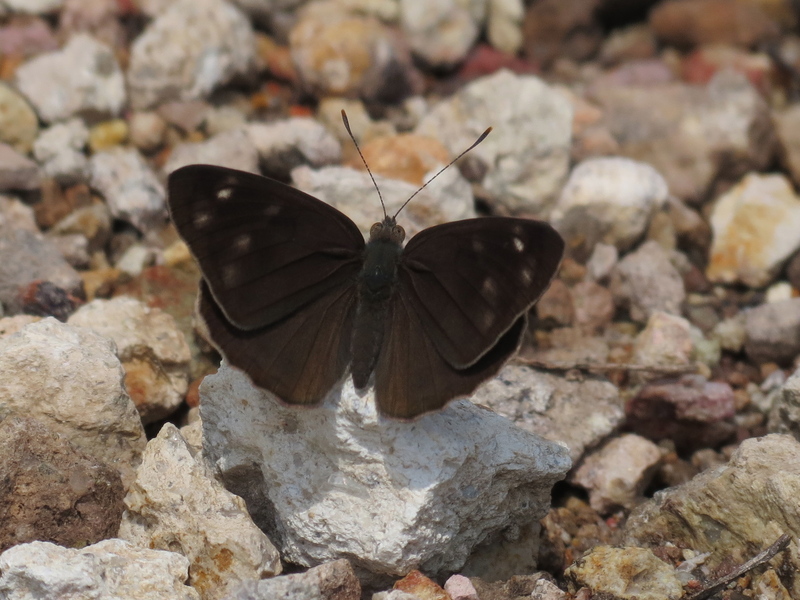 Identification: Upperside is brown-black with a slight purple sheen. 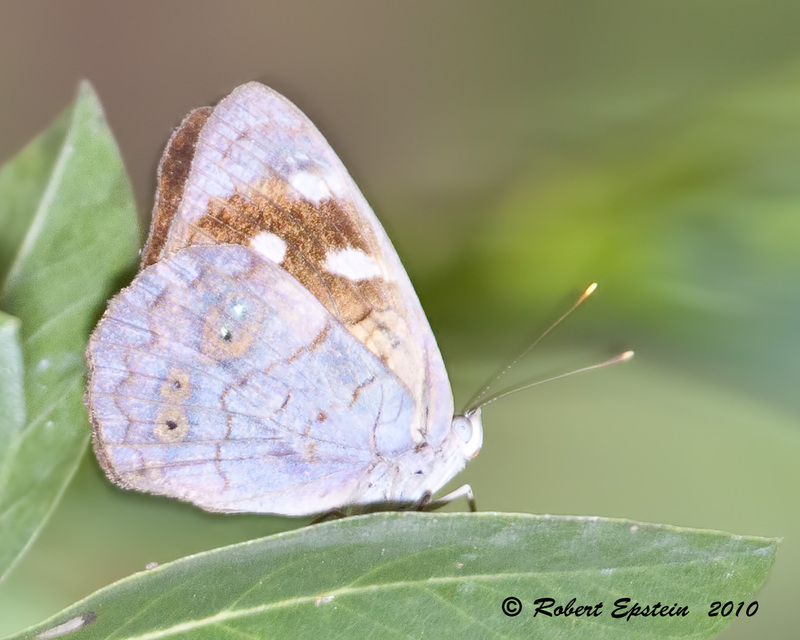 Dull, blurry white spots on forewing apex. 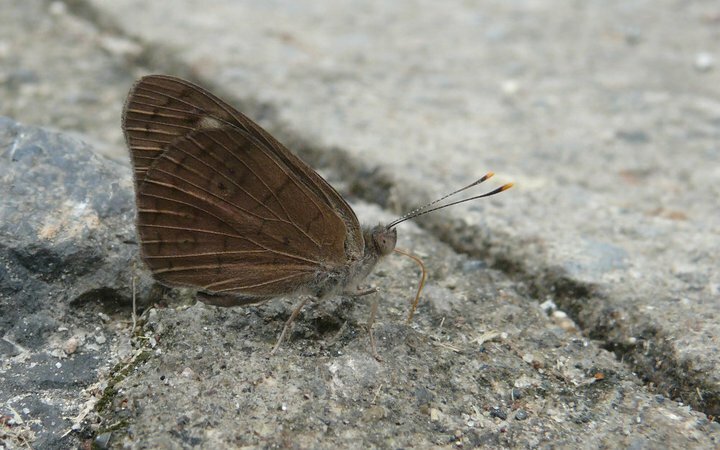 Underside is brownish gray with no distinct pattern. 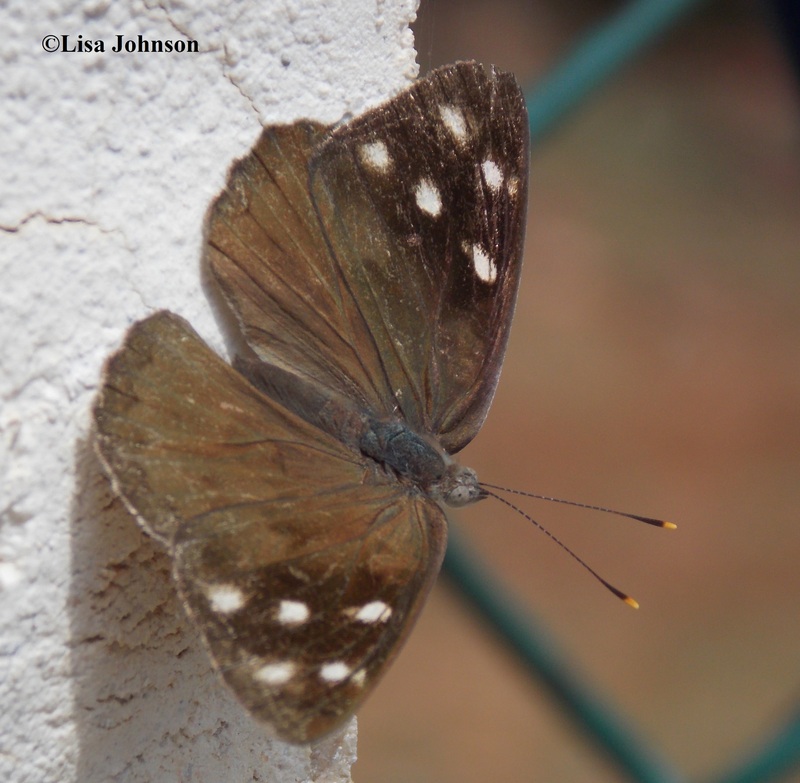 Wing Span: 1 7/8 - 2 inches (4.8 - 5.1 cm). 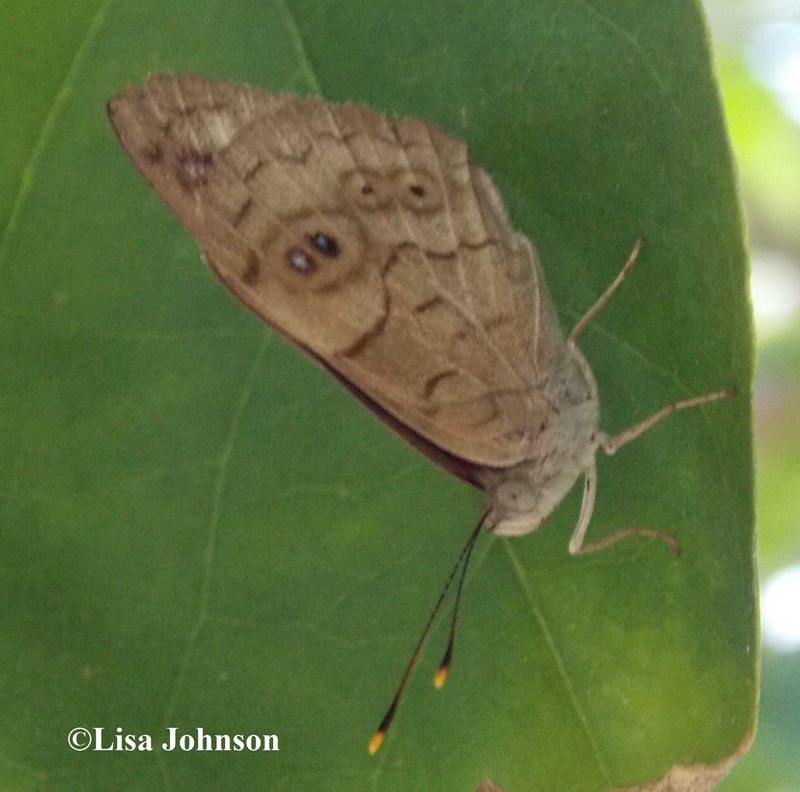 Life History: Adults perch on tree trunks with their wings closed, opening them only in flight. 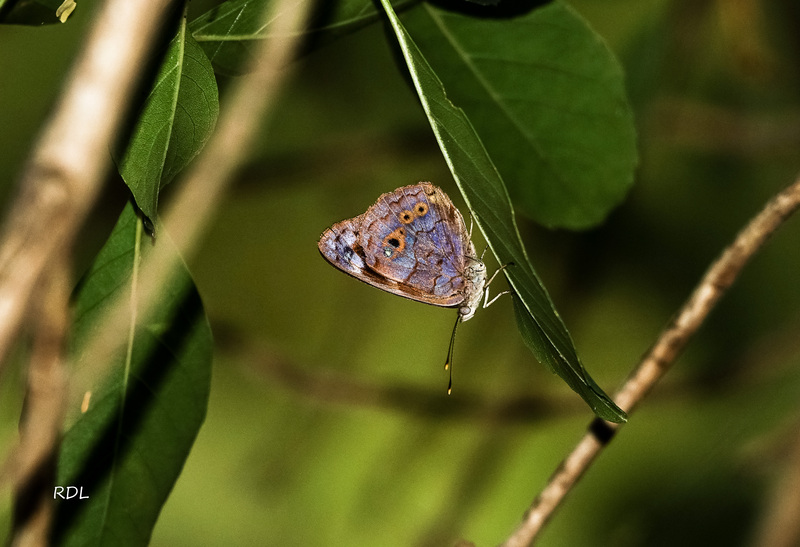 Females lay eggs singly on young leaves, and the caterpillars eat leaves. Flight: Many broods all year in Mexico, June-September in South Texas, May-December in southern Florida. Caterpillar Hosts: Tropical tree gumbo limbo (Bursera simaruba) and tropical prickly ash (Zanthoxylum pentamon). Adult Food: Rotting fruit, dung, and sap; seldom flower nectar. Habitat: Subtropical river forests, hardwood hammocks. Range: Venezuela north through Central America to Mexico and the West Indies. Periodic immigrant to southern Florida (where it may be an occasional resident), South Texas, and southern Arizona.